Looking to send a little LOVE to that special, expecting mom-to-be in your life?! We have curated this one of a kind gift, just for them! 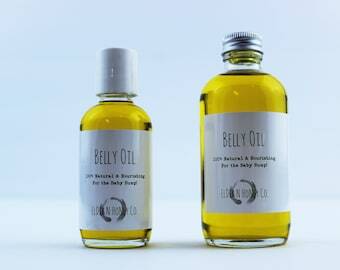 "You are Beautiful, Beloved & Believed In"
She'll be delighted to indulge in a little R & R before the bundle arrives. 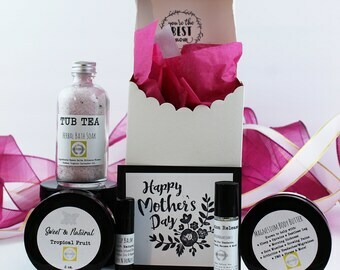 Elder N Honey has been crafting gifts for expecting women for many years, we have solid confidence that your friend will enjoy this unique selection of 100% Natural Products that caters to the mom to be! 🌟 Tub Tea Bath Soak: Soothing & Relaxing, a must for any pregnant mamma. A Luxurious Herbal Blend of Epsom Salts, Hibiscus Flower & Lavender. 🌟 Qty. 1 – TEA 4 TWO, Pregnancy Tea: Specially formulated tea blend that nourishes the Mother growing another human, also amazing for morning sickness and those feeling full, eating for two bellies! Works great for All Trimesters! 🌟 Qty 1. - MAGNESIUM LOTION – This little jar helps with so many things! It was a total game changer in my second pregnancy! It's known to help with; morning sickness, muscle cramps, restless leg, hip pain and sleep! It’s a must have for anyone, but especially pregnant women. (comes with overview & instructions) 2 oz. Vegan. 🌟 GLOW CREAM - Our best selling, 100% Natural moisturizer, sure to make any girl smile. 🌟 TENSION RELEASE ROLLER: Great for those stress & tension headaches. Curated for minor neck strains, muscle aches, etc. Magnesium based with Lavender & Peppermint oils. 🌟 PHOTO MAGNET FRAME: Untreated natural pine, says "LOVE @ FIRST SIGHT" 3"x2.5"
🌟 FREE GIFT NOTE: Use Gift Note Section or Notes Section at Checkout. "A baby will make love stronger, days longer, nights shorter, bankroll smaller, home happier, clothes shabbier, the past forgotten, and the future worth living for. 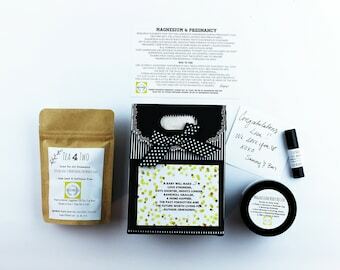 Author: Unknown"
🌟 Specially curated for expecting women, not just another "spa" gift set. "My wife appreciated the quality organic ingredients, used and liked all the items in the gift - score" -- Zach B. Thank you for shipping Etsy & Supporting Small Business! Love this gift and think it would be a great gift for someone who is NOT pregnant? We can swap out the pregnancy tea, for our signature Sleepy Time Tea and make this a one of a kind gift for someone else who deserves to be loved on. Just convo us in the notes section if you wish to make this gift "non-pregnancy" related. I ordered this for my DIL, this is her first baby! She loved it. It was beautifully packaged and shipped so quickly! Thank you so much!